Sought After SOLAR Powered Incantare Model with Vertical Casita & Attached Villa, Featuring 3BR/3.5BA + Den and SmartSpace with 2,782 Sq. Ft. of Optimized Living Space. The spacious kitchen with granite slab counters and stainless steel appliances presents a nice focal point overlooking comfortable great room. Multiple dining areas from formal dining room, casual kitchen bar seating, covered patio or built-in BBQ with island seating. Two large rolling walls of glass collapse to single panes to invite the outdoors in and maximize indoor/outdoor entertaining. Exceptional bedroom separation for visiting family and friends with master suite at one end, upstairs vertical casita with bedroom and bath plus attached villa at opposite end with den & wet bar. 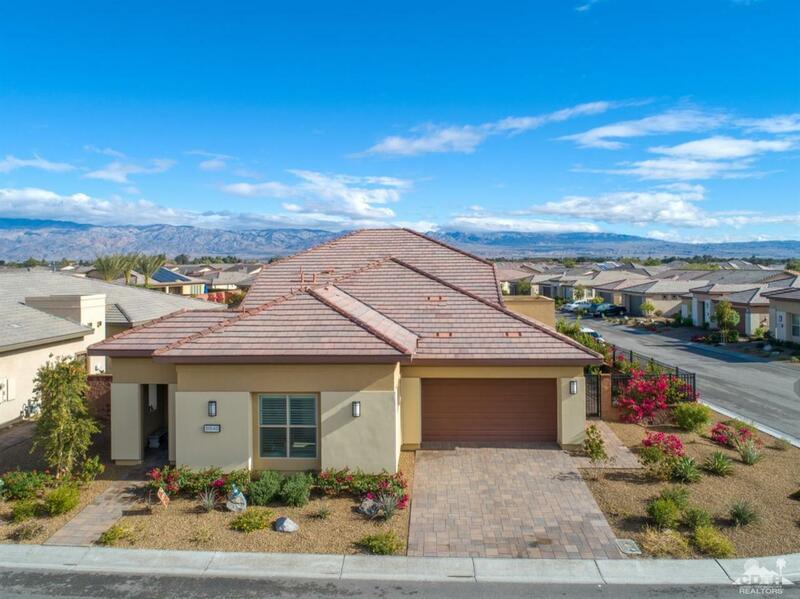 Situated on a premium corner lot with artificial turf, low maintenance landscaping, extended paver decking and expansive mountain views, this home checks all the boxes for the ideal primary residence or desert getaway. Check Virtual Tours! Listing provided courtesy of Josh Essig of Vine Property Group, Inc..